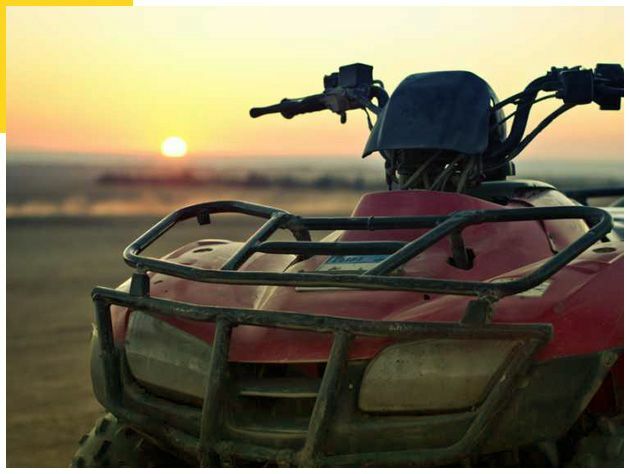 Explore the jungle on an ATV mountain tour. Our experienced guides will take you on a true Costa Rica adventure through the winding jungle roads and back trails of Guanacaste’s famous jungle covered mountains along Costa Rica’s Pacific coast. You can stop and see breathtaking views from 1200′ elevation. The mountain areas are teaming with wildlife and if you are lucky you might see all kinds of different birds, animals, and plant species. Drive and explore the small towns in and around the area, past cantaloupe farms and when it is in season we stop at a beautiful waterfall called “Las Pilas” (early winter, late winter), during the tour we can also visit some centuries old farm houses to see how rural Costa Ricans used to live.